Box Text: He may wear a Rooster Suit, but no one calls him Chicken! 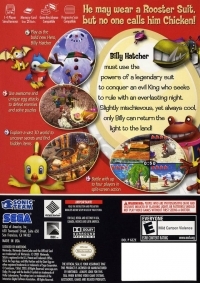 Billy Hatcher must use the powers of a legendary suit to conquer an evil King who seeks to rule with an everlasting night. Slightly mischievous, yet always cool, only Billy can return the light to the land! 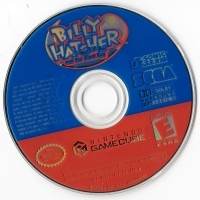 This is a list of VGCollect users who have Billy Hatcher and the Giant Egg in their Collection. This is a list of VGCollect users who have Billy Hatcher and the Giant Egg in their Sell List. 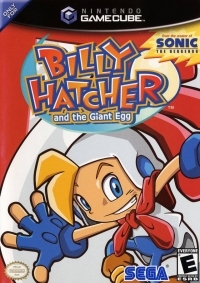 This is a list of VGCollect users who have Billy Hatcher and the Giant Egg in their Wish List.